The Tuner functions like a normal tuner and uses the microphone of your computer to listen to the tone. 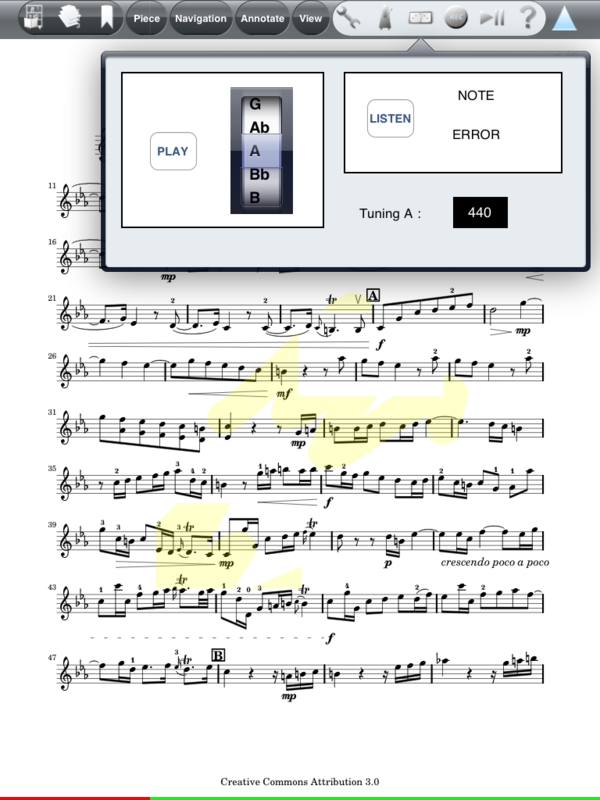 A tuner is used to tune your instrument, and MusicReader provides full functionality to tune to the right level. a) Pitch, to define the pitch of the tone needed. This can be set between 410-480.
b) Listen/Play, this switches between listening or playing a certain tone. Hearing can be used when there is for instance no microphone available. c) Tone, to set the needed tone. This can be specified between B and C, see the image below. 3. The Play function continues even after deselecting the tool. Press the Listen/Hear button again to disable. Posted by: Nick Leoné - Sun, Feb 20, 2011 at 6:01 PM This article has been viewed 2312 times.